Hanimex Corporation was an importer and distributor of cameras, lenses, and other photographic equipment in Australia and New Zealand. The company also distributed consumer electronics and other non-photographic gear. 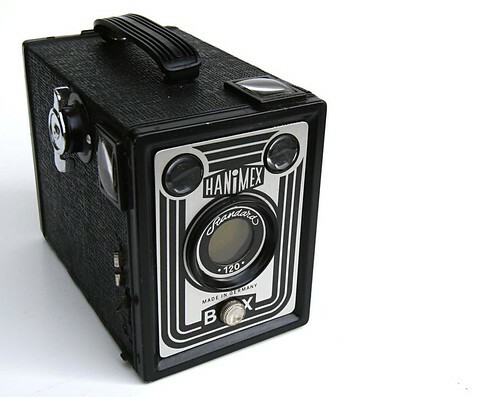 Hanimex cameras were often sold under the Hanimex brand name or co-branded with the Hanimex brand and the Manufacturers brand (e.g. Hanimex Topcon). Photographic product distributed by the company were made by Tōkyō Kōgaku, Sedic and Royal in Japan, by Finetta, Montanus, Vredeborch and Dacora in West Germany, by Pentacon in East Germany, and by other manufacturers. Hanimex distributed SLR lenses for several different lens mounts under the Hanimex brand name. Since 1954, Hanimex was also the sole distributor of Fuji Film products in New Zealand. 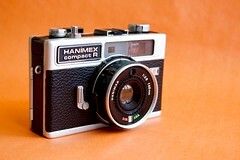 Hanimex sold camera flashes, film cameras (eg. Hanimex Loadmatic MP300 Super8 camera, Hanimex U8 Zoom Super8 camera), slide projectors (eg. Hanimex Arus 500) and film projectors (eg the Hanimex Dual-matic IQ 1000S Super8 film projector) and dark room equipment. Hanimex Corporation was founded in 1947 by Jack Hannes. Hanimex is an abbreviation for Hannes Import Export. At some point (date/reference needed), Hanimex Corporation became a subsidiary of Australian real estate developer, Chase Group. The subsidiary became known as Hanimex Group. In 1979, Des Franklin became the Managing Director of Hanimex. In the 1980s, under Managing Director Bill Cutbush, Hanimex acquired a number of smaller companies including Foto Island, Palcolor. In 1985, Hanimex acquired American company Vivitar, which was losing money, and in a year made the company profitable again. Due to a decline in the Australian real-estate market, Chase Group decided to sell Hanimex Group. In 1989 Hanimex was acquired by Gestetner Corporation. Ricoh Co., Ltd. acquired Gestetner Corporation in 1996. Gestetner then changed its name to NRG Overseas Investment Ltd. On 22 April, 2004 Fuji Photo Film Co., Ltd acquired Hanimex Australasia Pty Ltd., the holding company of Hanimex Group, from NRG Overseas Investment Ltd, a group company of Ricoh Co., Ltd. Fuji discontinued use of the Hanimex name at that time but still owns the rights. 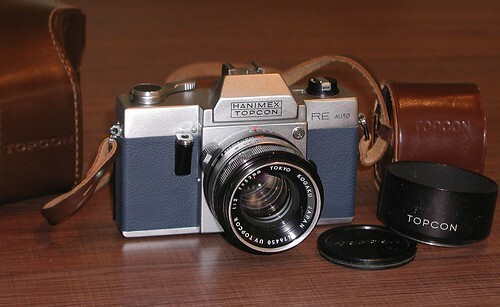 Hanimex CR-1000 (SLR) a rebadged Petri MF-1? This page was last edited on 29 March 2019, at 05:22.